AGING AND DISABILITY RESOURCES — Learn what resources are available in our communities for older adults, veterans and those with disabilities. Get help with Medicare, long-term care planning or finding the right volunteer opportunity for you. Sign up at the Circulation Desk to reserve a seat at this 6:30 p.m. event at the Wilsonville Public Library, 8200 S.W. Wilsonville Road. ALZHEIMER'S — Learn to communicate with people with Alzheimer's and other dementia using tone, facial expressions and body language. Explore how communication takes place when someone has Alzheimer's, learn to decode the verbal and behavioral messages delivered by someone with dementia, and identify strategies to help you connect and communicate at each stage of the disease. Register for thise free class by calling 800-272-3900. GET CONNECTED — Clackamas County will host an information forum on 211, the hotline to connect people to health and human service resources; the event runs from 10-11:30 a.m. at Willamette Falls Community Center Audiotorium, 519 15th St., Oregon City. NATIVE PLANT SALE — Come to the CREST headquarters from 10 a.m.-2 p.m. for a native plant sale, and while you are there, tour the garden and orchard and learn tips for your own garden. The headquarters is located at 11265 S.W. Wilsonville Road. BOOK NOTES — Come hear Paema, a women's ensemble that performs for the enjoyment of harmony and sharing their love of music. Tunes begin at 2 p.m. at the Wilsonville Public Library, 8200 S.W. Wilsonville Road. SYMPHONY — Willamette Falls Symphony will play Bruckner's "Symphony No. 5" and winners of the Young Artists Competition will perform Saint-Saens' "Introduction and Rondo Capriccioso, Op.28" and Elgar's "Cello Concerto, Op. 85" at 3 p.m. in Oregon City. Go to willamettefallssymphony.org for more information. MORE MUSIC — Roger & Nancy Wilhite and their five pianos (and friends) will perform at Woodburn United Methodist Church, 700 N. Cascade Drive, from 3-4:30 p.m. A commuity chorus and bluegrass band will also perform. A free will offering will be requested at the show. VOLUNTEERS — More than 25 agencies will be on hand to show volunteers in Clackamas County how to make a difference in their communities. Event is 11 a.m.-2 p.m, at Clackamas County Development Services Building, 150 Beavercreek Road, Oregon City. Register at www.eventbrite.com/clackamas-county-volunteer-information-fair-your-invitation-to-serve-registration-55383052200. BLOOD DRIVE — An American Red Cross blood drive will be held from 7 a.m to noon, Collins Aerospace, 27300 S.W. Parkway Ave. Visit https://www.redcrossblood.org/ or call 800-RED CROSS (800-733-2767) to make an appointment or for more information. MURDOCK TALKS — Join the Clackamas County Historical Society for a night of cowboy poetry. "Language of the Land: Cowboy Poetry Inspired by Oregon's Western Heritage and Ranch Culture" will be presented by local cowboy poet Tom Swearingen. Talk begins at 7 p.m. at MOOT, 211 Tumwater Drive, Oregon City. EASTER — Bring your little ones, ages 1-12, to the Marquis Wilsonville senior living center, for an Easter Egg hunt from 3-4 p.m. 30900 S.W. 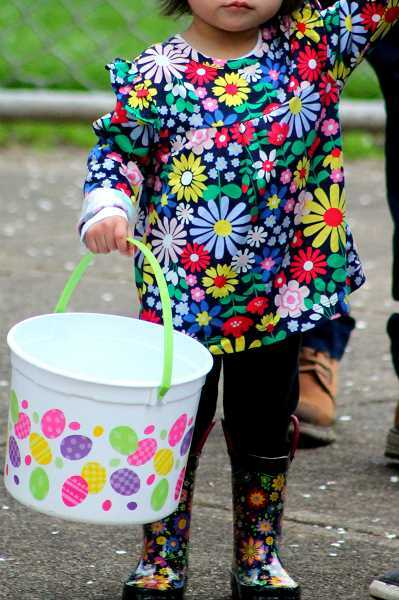 Parkway Ave., Building B.
EASTER — The community egg hunt returns to Memorial Park, with more than 10,000 candy-filled eggs distributed in age-appropriate hunting grounds. The event starts promptly at 10 a.m. Come early to ensure a parking spot and to find your child's age-appropriate egg hunt zone. No registration is required. Bring your own basket. MORE EASTER — Villebois residents are invited to an Easter Egg Hunt at Sofia and Palermo Park, with Mr. Bunny in attendance and prizes. Adults are asked to donate a dozen empty eggs and wrapped candy for each child participating; volunteers will fill the eggs ahead of the event. This event is for children 12 and under. BLOOD DRIVE — An American Red Cross blood drive will be held from 1-6:30 p.m. at St. Cyril Catholic Church, 9210 S.W. Fifth Street. Visit https://www.redcrossblood.org/ or call 800-RED CROSS (800-733-2767) to make an appointment or for more information. BLOOD DRIVE — An American Red Cross blood drive will be held from 8:30-11:30 am. at Starbucks, 30299 S.W. Boones Ferry Road. Visit https://www.redcrossblood.org/ or call 800-RED CROSS (800-733-2767) to make an appointment or for more information. GARDEN FAIR — Clackamas County Master Gardeners Garden Fair returns May 4-5 to the Clackamas County Fairgrounds. More than 100 vendors will offer plants, tools and other supplies. There also will be 10-minute classes on gardening throughout the day. Admission is $5; visit www.springgardenfair.org. THEATRICAL SEASON — Clackamas Repertory Theatre has announced its 15th season lineup, which begins in June and includes "South Pacific," "Queens Girl in the World" and "Sherwood: The Adventures of Robin Hood." Fans can purchase a season pass at http://www.clackamasrep.org/tickets-events/season-pass/.